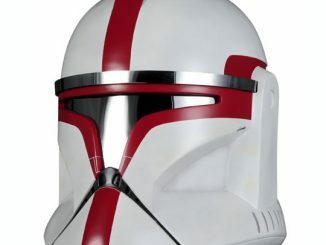 Why have an ordinary piggy bank, when you can save your money in a Star Wars Clone Trooper Bank instead? 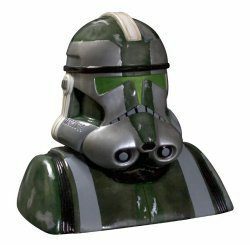 Although it is made of plastic, this clone trooper bust looks cool enough to just be a decoration on your bookshelf, and it is a handy place to save your loose change. 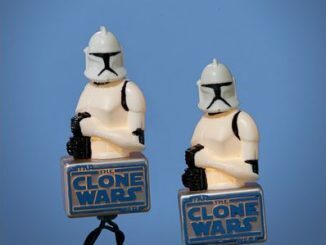 SuperHeroStuff.com sent us one of these Star Wars Clone Trooper Banks to check out, which gave us a chance to take some of our own pictures. 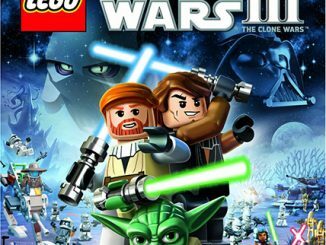 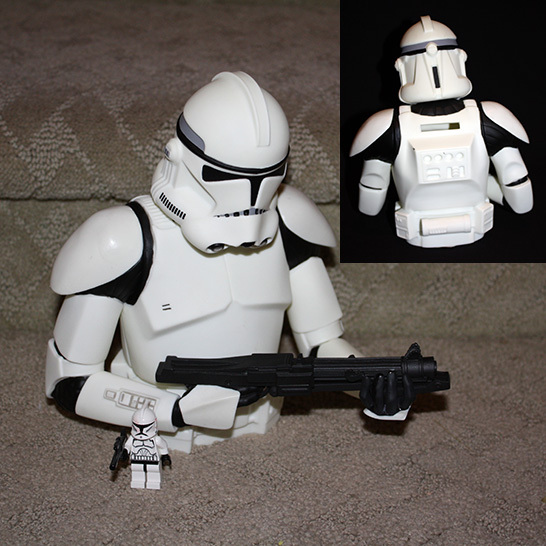 As you can see in the above photo, which includes a Lego Star Wars Clone Trooper minifigure for size reference, this bank stands about 8 inches high. 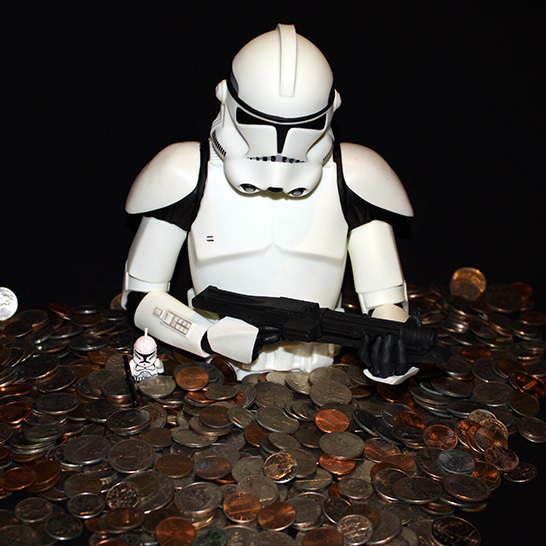 The slot to put in your coins is on the back of the Clone Trooper. 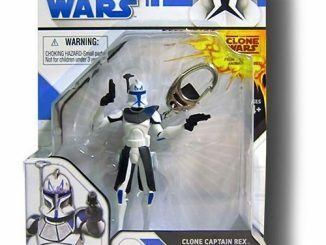 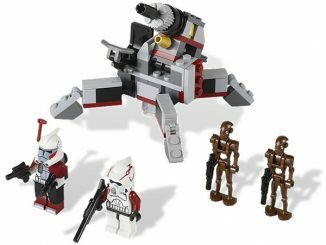 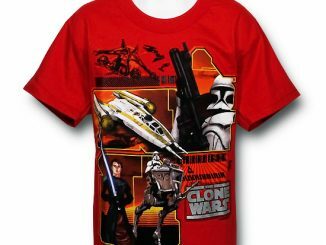 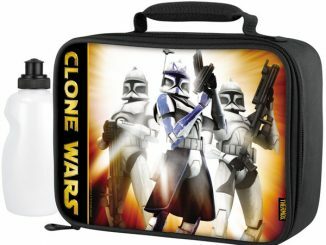 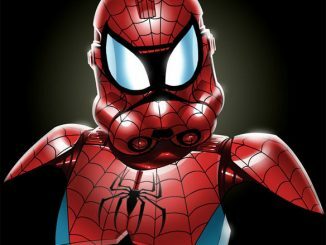 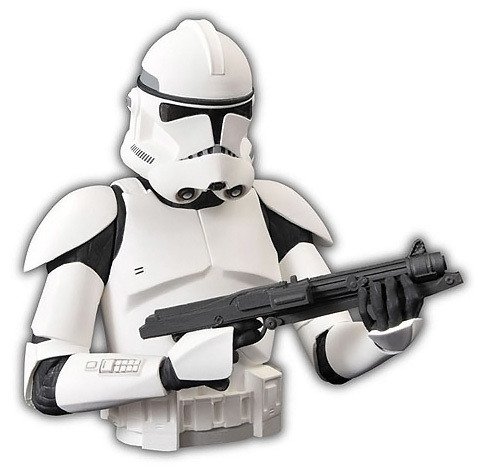 Order the Star Wars Clone Trooper Bank for $19.99 at SuperHeroStuff.com. 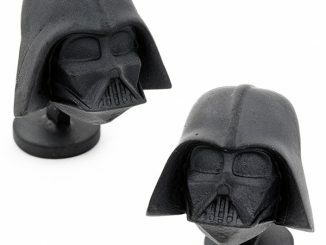 They also have other Star Wars character bust banks including Darth Vader, Darth Vader Unmasked, and Darth Maul. 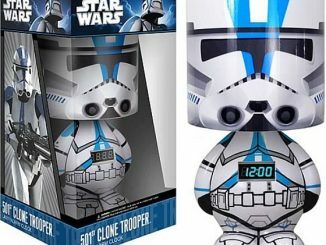 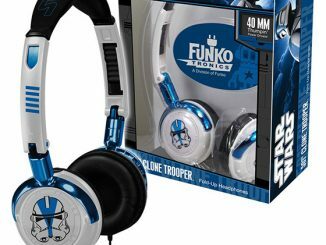 Fans of the Star Wars saga will soon be able to light up their day with a clone trooper inspired lamp that features a digital clock and an MP3 dock with a stereo speaker.